A technique with the potential to preserve fertility for prepubescent boys stricken with cancer has passed a key test in experiments conducted in monkeys: the birth of a healthy infant. Testicle tissue samples from rhesus macaques that hadn’t reached puberty were removed, frozen and then grafted back onto the monkeys. Over the following year, as the monkeys went through puberty, the immature sperm cells in the grafts developed into sperm. 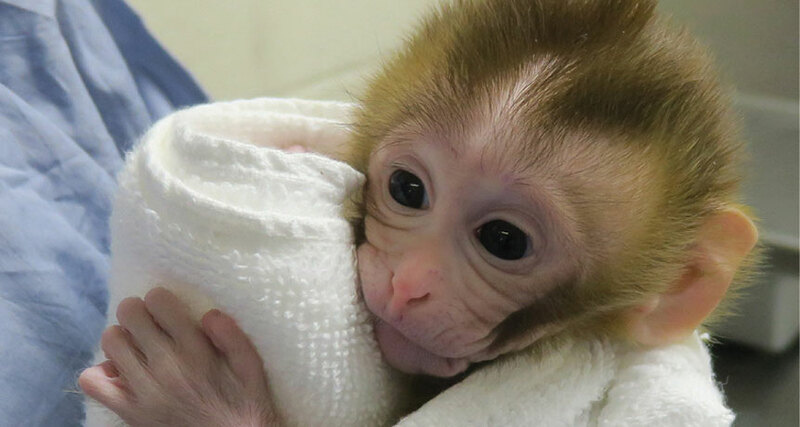 In vitro fertilization with sperm from one monkey led to a successful pregnancy and the birth of a baby female macaque named Grady, researchers report in the March 22 Science. The work is an encouraging step toward one day being able to preserve the fertility of prepubescent boys who undergo chemotherapy and radiation for cancer, which can affect their ability to produce sperm, says Robert Brannigan, a reproductive urologist at Northwestern University Feinberg School of Medicine in Chicago who was not involved in the study. Cancer survival rates for children in the United States have reached about 80 percent. But unlike teens or adults, younger boys haven’t yet developed sperm they can freeze for future use. The new work provides “a potential pathway to solving this very real clinical problem,” Brannigan says. At some hospitals, young male cancer patients already have the option to surgically remove a small sample from one of their immature testicles before undergoing anticancer treatments. “We tell patients that we have something in the research pipeline … but we have no guarantees,” says reproductive biologist Kyle Orwig at the University of Pittsburgh School of Medicine, who directs a fertility preservation program at the Magee-Womens Hospital. Orwig and his colleagues removed testicle tissue from five prepubescent monkeys and froze samples for up to five months. The researchers then grafted the tissue back onto each monkey, under the skin on both the animal’s back and its scrotum. Over the next eight to 12 months, the grafted testicle tissue grew, produced the male hormone testosterone and developed sperm in all five monkeys. The researchers used sperm from only one monkey to create embryos and impregnate a female, resulting in Grady. A variety of animals, including mice, pigs, dogs, horses and monkeys, have been born in a similar procedure that grafted different male animals’ immature testicle tissue to mice and then retrieved sperm. This study provides evidence of functional sperm — and the first birth of a healthy baby — from frozen, immature testicle tissue grafted back to the donor monkey. The researchers say their work supports further testing to explore whether the procedure might work for people.